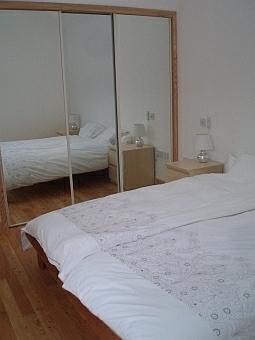 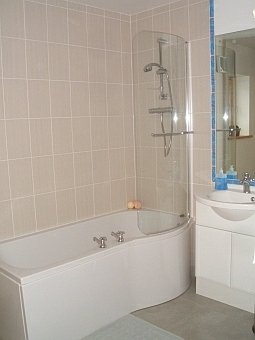 Self Catering Holiday Cottage Accommodation in Strathconon. 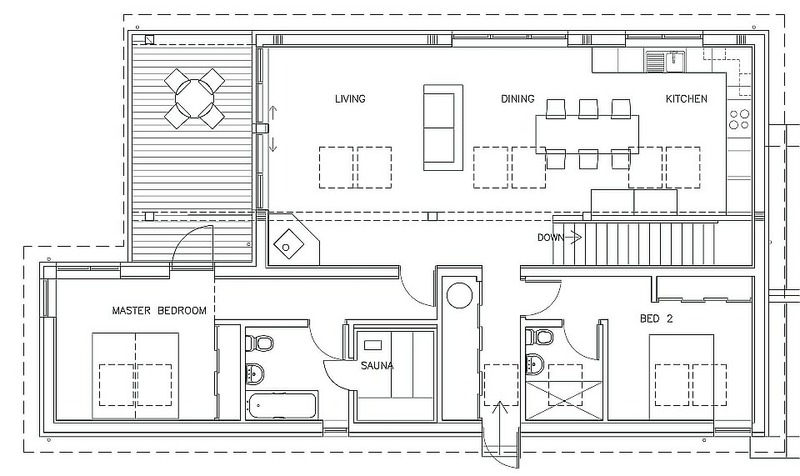 Upstairs Bedrooms. 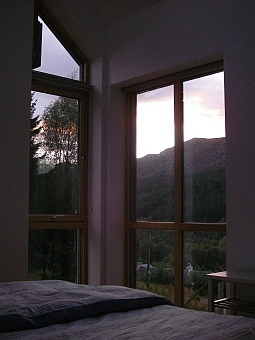 The master bedroom has a super-king size bed, the velux windows have remote controlled blackout blinds and all other windows and the door to the balcony have roller blinds with blackout material and are very effective. 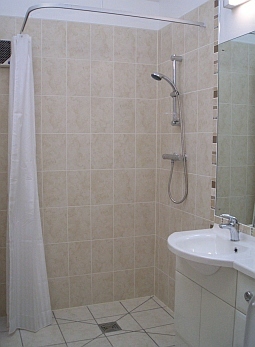 The master ensuite has a thermostatic shower over the bath (no endless fiddling hot and cold taps to get your favourite temperature!). 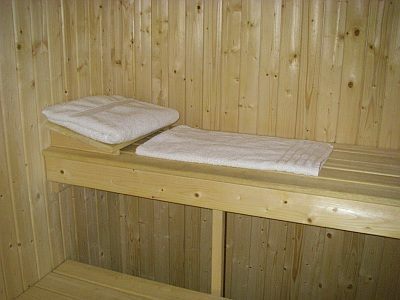 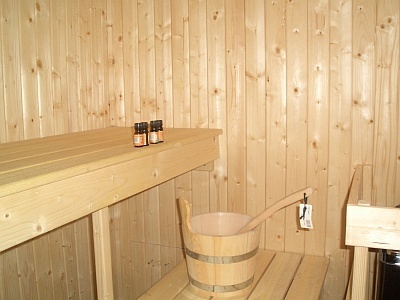 There is also a sauna for up to 6! 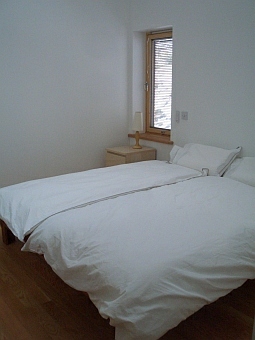 The guest bedroom has a super king size bed and a walk in ensuite shower room, remote controlled blackout velux blinds and an external venetian blind to the window.